Here’s what Politico had to say about The Fresh Toast, for which Ruckus did branding and extensive web design & development. This ain’t your father’s High Times: Seattle socialite and business consultant JJ McKay has created a new website devoted to cannabis coverage, with a mix of lifestyle, entertainment, comedy and food & drink thrown in for good measure. The Fresh Toast has been quietly publishing in beta in recent weeks ahead of an official October 4 launch that McKay says will deliver a weed publication targeting the non-stoner set. “Everyone in the digital space is embracing stoner culture,” or coming at pot from a policy angle, McKay told Morning Media. McKay is a 48-year-old first-time publisher and former non-profit fundraiser who served as an advisor to Tina Brown in the Newsweek-Daily Beast era. (“A force of nature,” Brown said when we asked about him.) McKay said he’s raised $2 million so far out of a planned $2.8 million initial round, enough to hire a New York-based staff of about 10, including Kelly Barbieri (formerly of High Times and Haute Media) as The Fresh Toast’s editor in chief, and Maccabee Montandon, a former Fast Company editor behind the popular web series “Ocean Parkway.” Notable investors and advisers include Dan Nordstrom, of the Nordstrom family; Jeff Barish, a Condé Nast veteran; and Carolyn Kelly, a former president of The Seattle Times. With marijuana legalization on the rise, McKay thinks the timing is ripe for a publication that will treat weed like others do food or wine. But he doesn’t need Morning Media to tell him how crowded and punishing the digital-publishing space is right now. That said, The Fresh Toast will derive only a portion of its revenue from traditional ads and content marketing, with much of it expected to come from a paid directory of vendors, physicians and other pot-related things. As for the name, “It’s hard to get mad at toast,” said McKay. 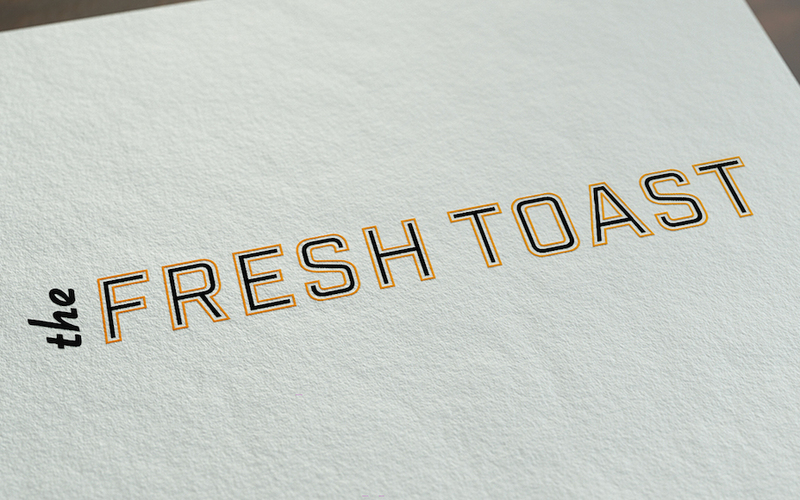 Here’s what we’ve done for The Fresh Toast. And here’s The Fresh Toast’s beta website.